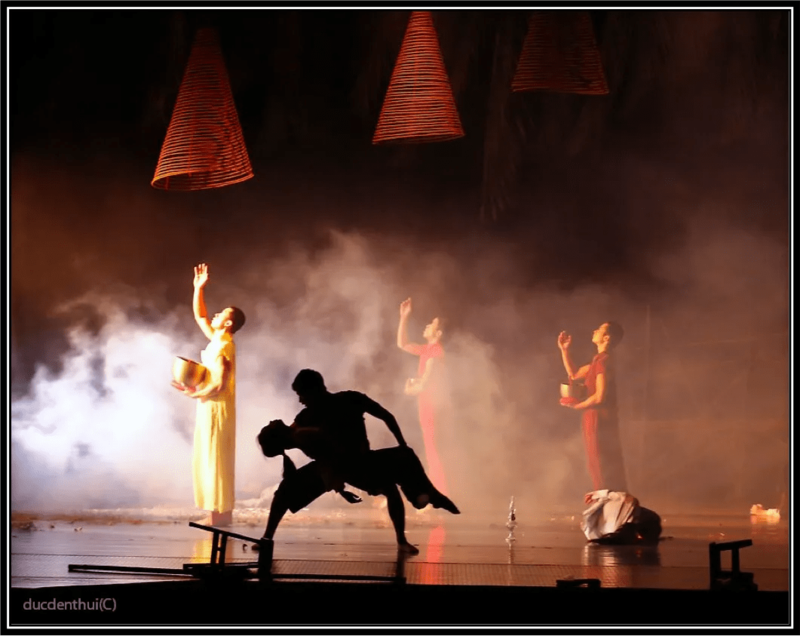 Catch “The Mist” at the Saigon Opera House | Hello Saigon! ← What is in the air? Last night, we were invited to watch the premiere showing of “The Mist” featuring the performers of Arabesque at the Saigon Opera House. 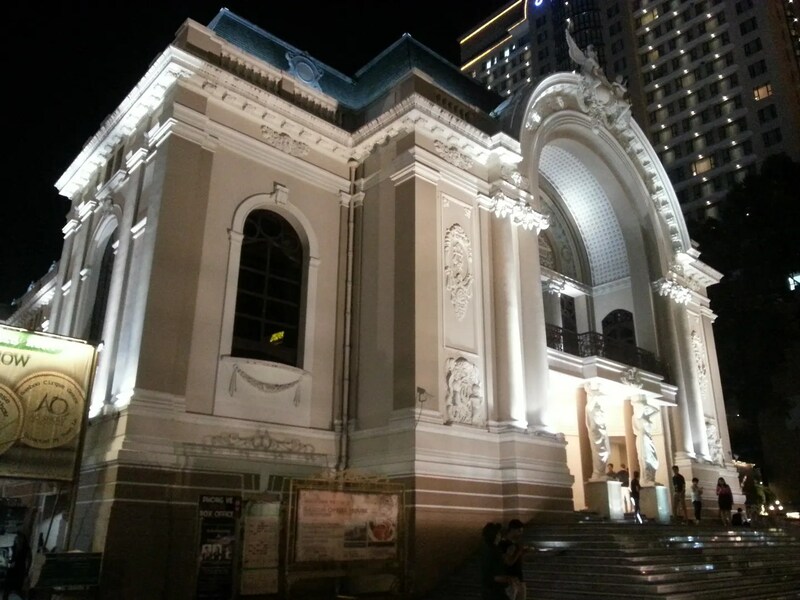 I love the Saigon Opera House. It’s like stepping back in time. 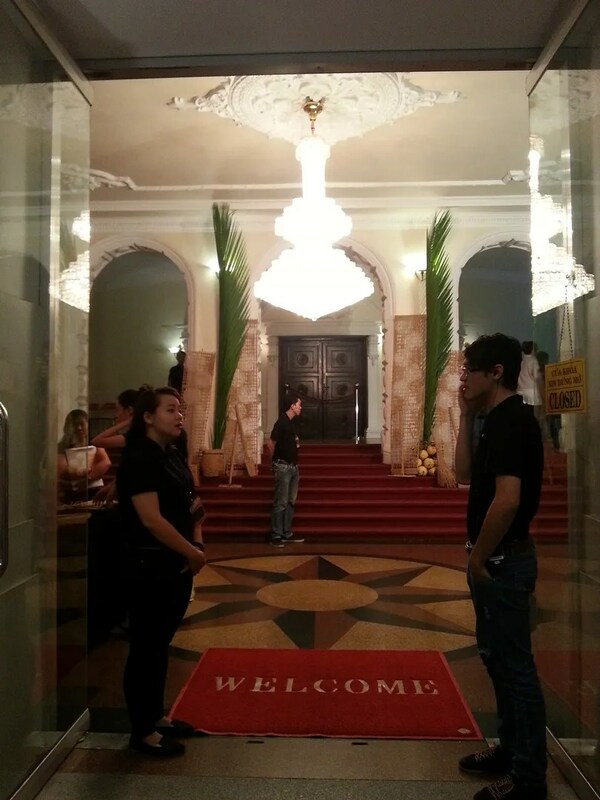 The French colonial architecture is well-preserved. 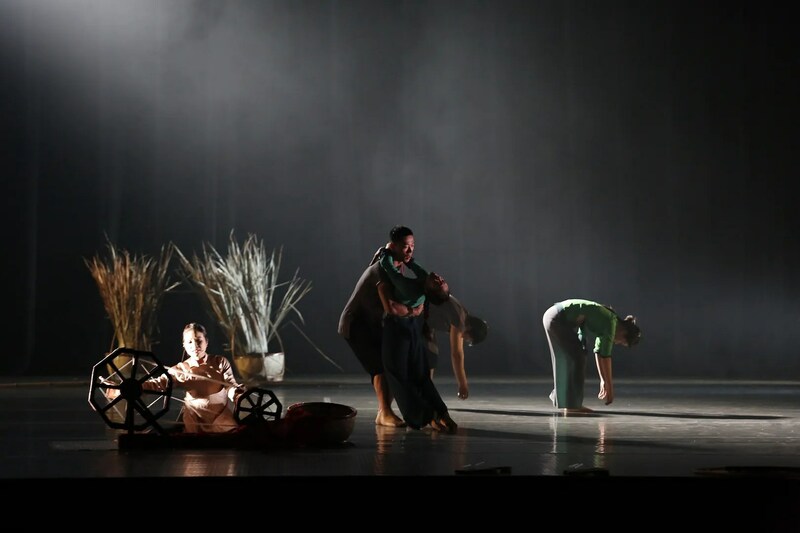 Directed by AO Show Saigon‘s Nguyen Nhat Ly and Nguyen Nat Loc, The Mist is a contemporary dance performance depicting the life of farmers as they go about their daily tasks in the early morning mist. Unlike the AO Show Saigon though, The Mist caters to a more mature audience. 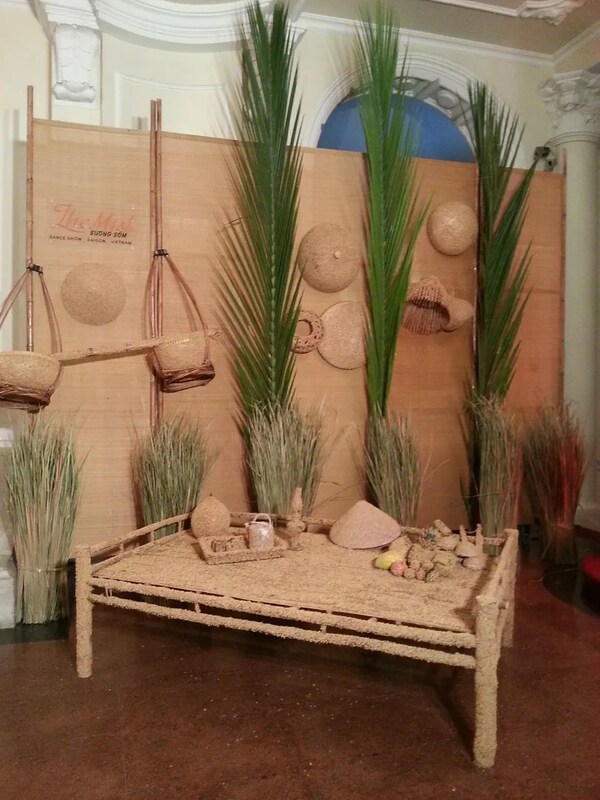 To set the tone, the entrance of the opera house was adorned with native products covered in rice husks. And once you enter the main auditorium, you would hear the sounds of crickets and frogs like you would in the countryside. 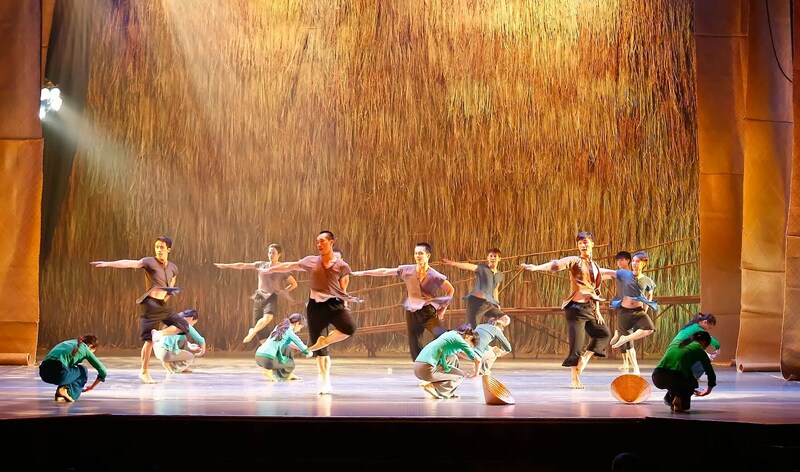 The performance began with farmers waking up to perform their tasks in the rice paddies. 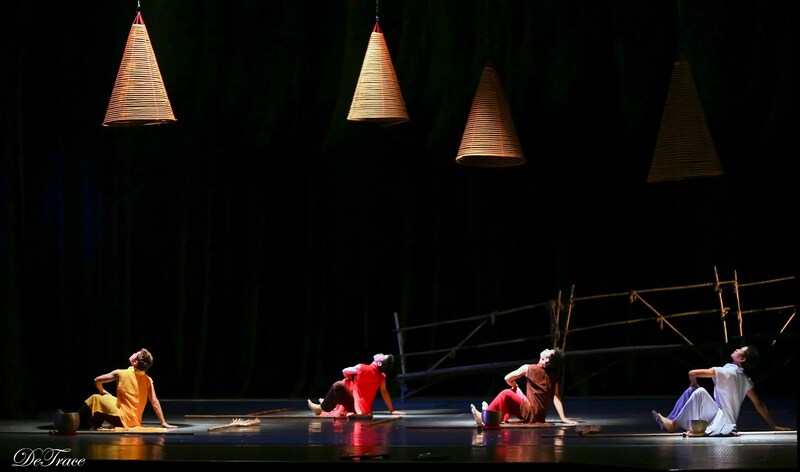 The performance focused on the life in the countryside, like going to market, husking the rice, and tending the rice fields. I was happy to sit beside James Pham who helped me understand some parts of the show. Two performances stood out for me. The first was when the farmers began using native instruments to make music. 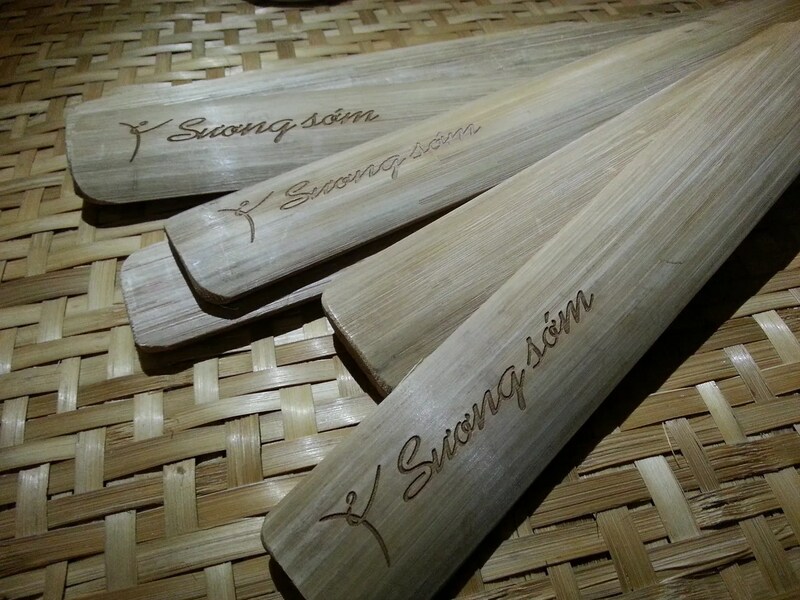 The audience were able to join in using these —which according to my 6 year old were nunchuks. LOL. Hubby said that these are actually rice ladle joined together. My second favorite performance was the love story portrayed in ballet. The show ended with a rain of rice symbolizing abundance. The Mist will be shown again on September 18, October 15 and 16. The show starts at 8 pm and is approximately 60 minutes. You may book your tickets at Arabesque Vietnam or send an email to reservation@themist.com.vn. This entry was posted in Exploring Saigon, Sharing Saigon and tagged Ho Chi Minh City, Saigon, Saigon Opera House, Vietnam. Bookmark the permalink. Pingback: AO Show’s The MIST Tickets Up For Grabs!!! | Hello Saigon!